The second largest city of Germany, Hamburg is famous for its cosmopolitan character, but also for its night parties. Reconstructed after the Second World War, Hamburg’s architecture is modern. The Venice of the North, as it is called because of its many canals, has many discoveries in store for you. 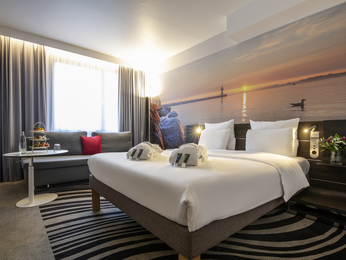 Novotel hotels welcome you to this city for a change of scene and a pleasant stay combining comfort and well-being. Hamburg has a small lake, the Alster, and many canals lend their charm to the city. City dwellers and visitors go there to sail on the water or stroll along the shore before going for a drink on the Jungfernstieg. People visit Hamburg to see its mediaeval churches, its half-timbered houses, its neo-Renaissance city hall and St. Michael’s Church, but also for its Fine Arts Museum. The Sankt Pauli district, teeming with bars and discotheques, will attract lovers of the nightlife. A must-visit during your stay is the port of Hamburg, which you can tour by boat. Next, visit the new district of Speicherstadt, the warehouse district, where many of the gabled brick buildings have been converted into museums. They include the Speicherstadt Museum, where you will discover the history of the district and its trades. 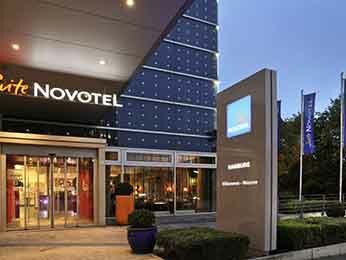 For a pleasant stay in the Hanseatic capital, book a room in one of the two Novotel hotels near the city centre.